Radical teaching best describes what the multitudes heard from Jesus. They had never heard a man teach with the forcefulness and clarity as the man from Nazareth. He left people stunned with the changes of heart needed to be His disciple. Their hearts were astonished at the demands required to be a follower of the miracle worker. Living in the midst of a Roman occupation the people of God loathed the presence of the uncircumcised masters. The army of Rome was oppressive and cruel. To their surprise the Rabbi who drew untold multitudes to His teaching is telling them to love their enemies and do good to them. Unbelievable. The language is clear. Jesus tells them to have a relationship with their enemies, the ones that hate them and curse them and maliciously abuse them in every way. When they would strike them they should not retaliate. If enemies steal from them do not get revenge. In fact the teacher admonishes the people to express feelings of love and do good to show their enemies the kindness of righteousness. In the face of cursing only words of blessings from a heart of grace come forth. The teaching of Jesus was so sweeping the world would never be the same. Enemies and evil men abound in a cruel world. The natural thing is to resist persecution and lash out at those who seek harm. What makes the disciples of Jesus true followers is to show the pattern of the Lord in praying for His enemies and doing good to all men – no matter what they have done. What sets a Christian apart from the world today? In our world of red, white and blue we mistakenly follow a national spirit of pride with freedom of speech that allows every man to speak his mind defaming those who would persecute the principles of the Bible. Sharp words of anger, prejudice and evil come from the mouths of God’s people because they believe that American freedom was founded on the word of God. It will come as a shock to know that Jehovah God is not a Republican, Democrat nor Independent. The world of our day is filled with those who seek to destroy the teaching of righteousness. They are our enemies. While we stand for truth we must also kneel in prayer. Our enemies are trying to destroy us but we are to pray for them. We are to love them as God loves us. Our actions are measured by the good we will do for them. Lips of blessing will be given instead of cursing. Most importantly instead of denigrating their character we are to lift their names in prayer to the Father. The teaching of Jesus is just as shocking today as it was two thousand years ago. He is still the truth, He is still the way and He is still the life. No one will come before the Father unless they come through the life of Jesus Christ who left a powerful example of dying for His enemies – you and me. Why did Jesus suffer on the cross? Who nailed the Son of God to the curse of the tree? Go look in the mirror and you will find the enemy of Christ. 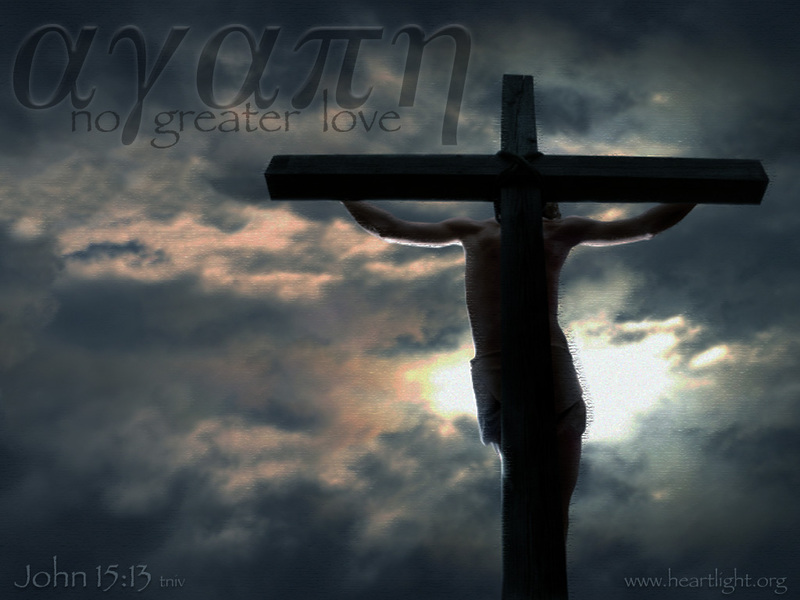 God so loved you and me (we are the enemy) that He gave us (we are the enemy) His beloved Son. Can we treat our enemies any less? Tough love. This entry was posted in Character Study, Christian, Jesus Christ, Morality, Prayer, Social Issues. Bookmark the permalink.